The land of the five rivers or the Punjab area of the Indian subcontinent, now divided between the territories of the republics of India and Pakistan, has played an important role in Indian history. It was once very much a part of the Kushana empire, one of the greatest empires In ancient East. It was situated between the eastern and western provinces of the Kushana domain and was on the main routes from the west to the interior of the subcontinent. Its topographical position made it the natural meeting ground of peoples and cultures-spiritual and material. One of the sources of our knowledge of material culture and also of art and iconography of the Kush a n a age is constituted by its coinage. 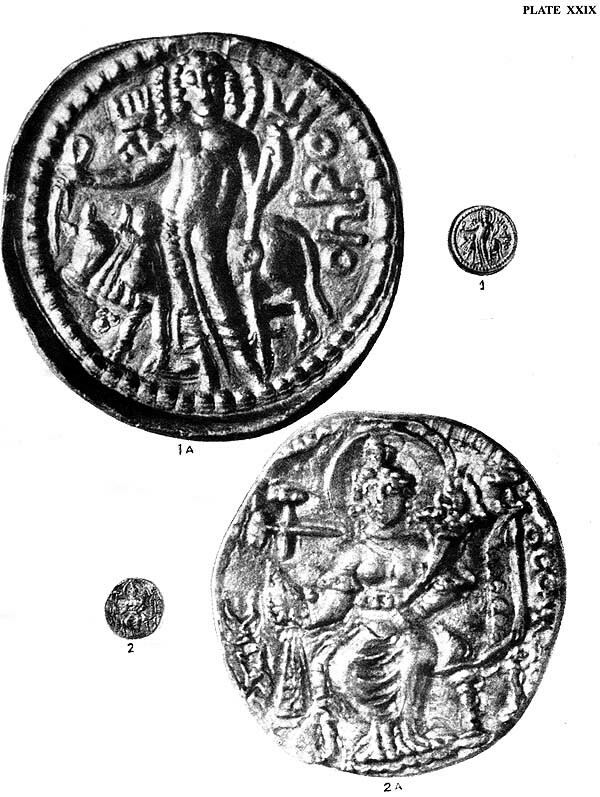 An' important feature of Kushana administration was minting of coins. in fact, the rule of the Imperial Kushanas forms one of the most brilliant phases' of the history of oriental coinage. And since the Pubjab area had been familiar with a system of currency from a much earlier age, its place in the domain of Kushana coinage should be determined with 'as much accuracy as possible. This is necessary for understanding properly the chief traits of Kushana coinage and its impact on coinages of later periods. An attempt has been made in this monograph to fulfil this need (Sections IIII). 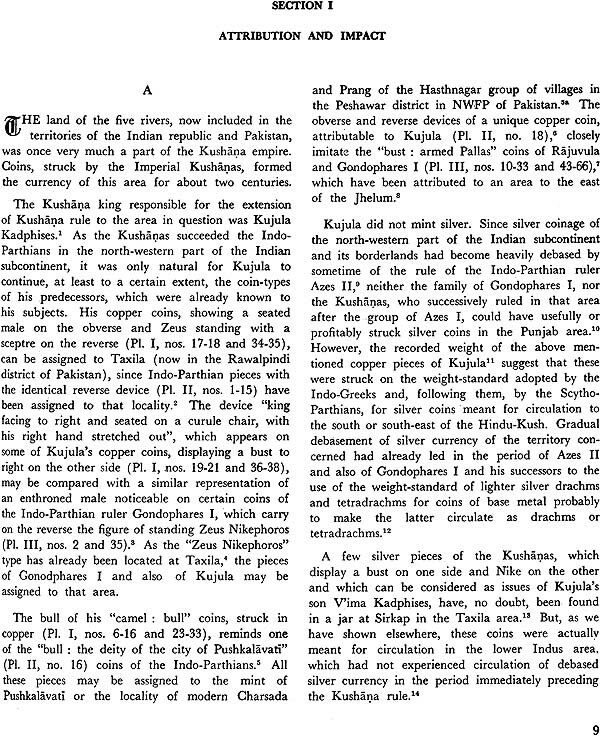 Some problems related to Kushana coinage and history have been dealt with in Appendices I-VI. Gold-content, diealignment, etc. 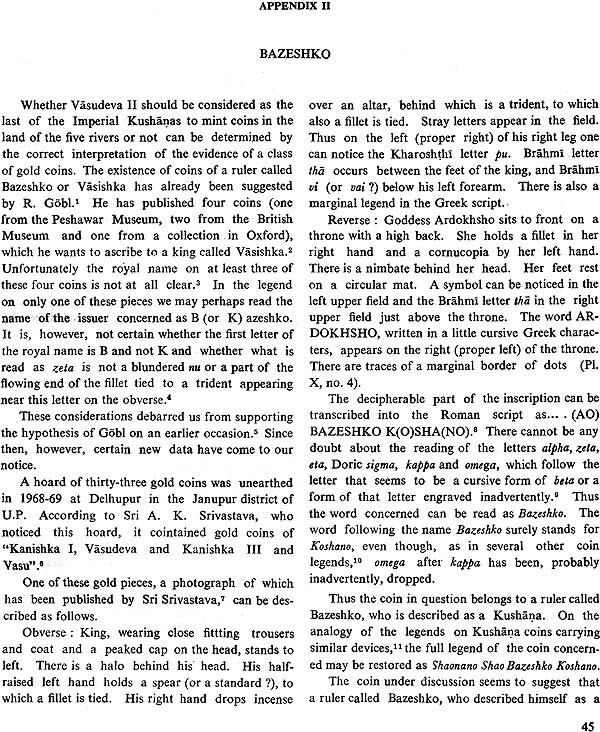 of all the Kushana and other relevant gold coins in the Indian Museum published and unpublished-have been studied for the first time in one place. A number of coins in the British Museum, London, have been similarly examined (Appendix VI). Opportunity has also been taken for discussing, for the first time in a comprehensive manner, the Kushana numismatic art (Section II and Appendix VII). An up-to-date Bibliography and thirty-four art plates, illustrating many of the relevant coins and objects of art, enhance the value of the monograph. The land of the five rivers of the Punjab area of the Indian subcontinent, now divided between the territories of the republics of India and Pakistan, has played an important role in Indian history. It was once very much a part of the Kushana empire, one of the greatest empires in ancient East. It was situated between the eastern and western provinces of the Kushana domain and on the main routes from the "west" to the interior of the subcontinent. Its topographical position made it the natural meeting ground of peoples and cultures spiritual and material. One of the sources of our knowledge of material culture and also of art and iconography of the Kushana age is constituted by its coinage. 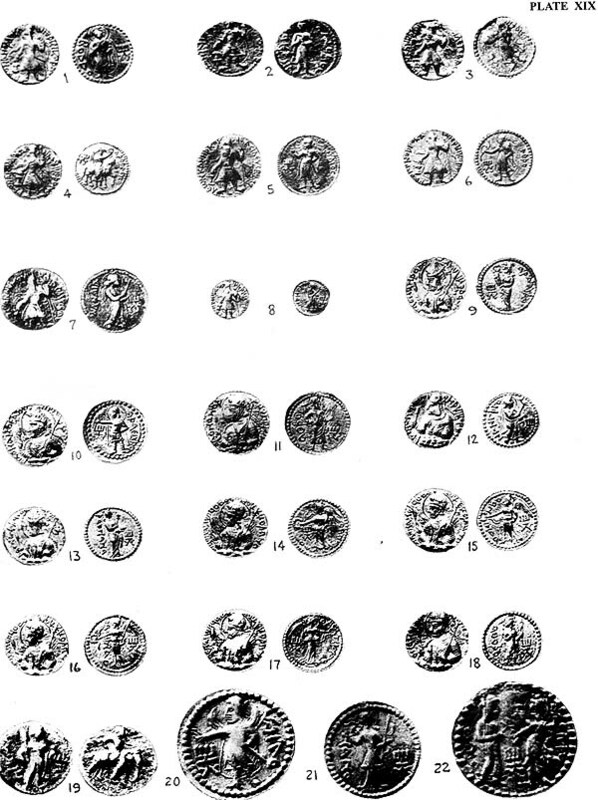 An important feature of Kushana administration was minting of coins. 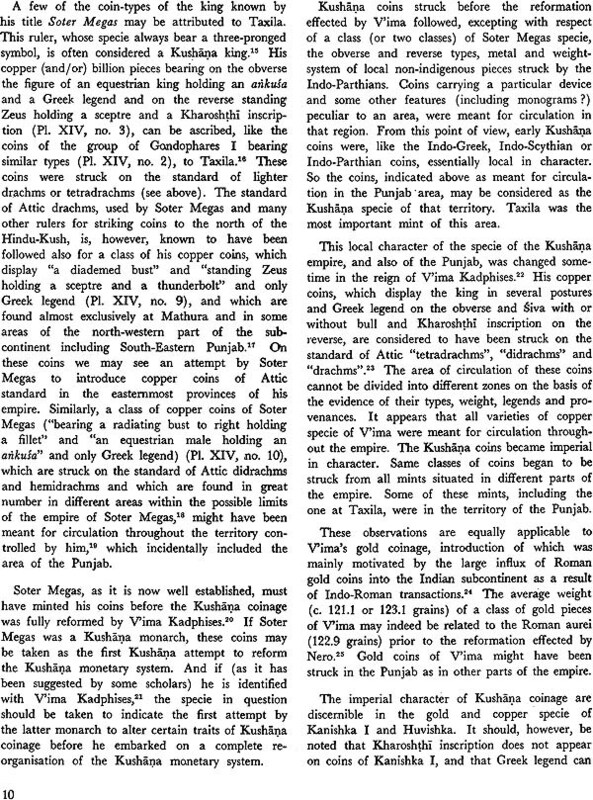 In fact, the rule of the Imperial Kushana forms one of the most brilliant phases of the history of oriental coinage. And since the Punjab area had been familiar with a system of currency from a much earlier age, its place in the domain of Kushana coinage should be determined with as much accuracy as possible. This is necessary for understanding properly the chief traits of Kushana coinage and its impact on coinages of later periods. An attempt has been made in the following pages to fulfil this desideratum. I have also availed myself of this opportunity for discussing certain related numismatic problems including those connected with Kushana numismatic art. In spelling of proper names I have tried to follow, with a few necessary exceptions, conventional forms. 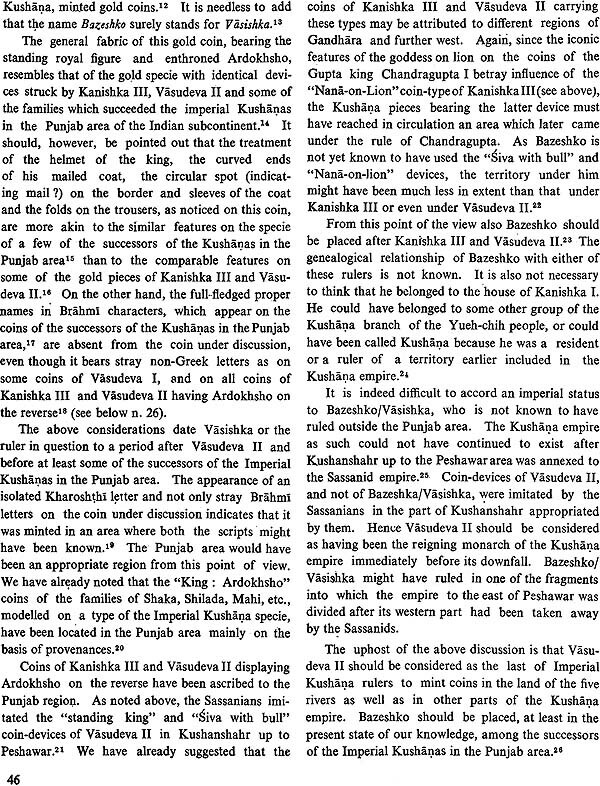 For example, the name of the son of the Kushana king Kujula is written as V'ima Kadphises, and not as Vima Kadaphisa. No diacritical mark has been used in modern proper names, including geographical. The term India denotes, unless otherwise indicated, the Indian subcontinent comprising the territories of Indian Republic, Bangladesh, and Pakistan. I have received in course of my relevant research valuable advices and suggestions from Prof. S. K. Saraswati. Miss Jaya Goswami and Dr. R. Mukherjee have determined the percentage of gold contents of the coins listed in Tables. I and H. Miss Mangla Shaw has rendered valuable assistance in going through the archaeological reports written in Russian. The manuscript of the monogrpah has been typed carefully and made ready for the press by Mr. S. De and Mr. B. Mukherjee. The authorities of the Indian Museum, including Mr. S. M. Bhattacharyya (the present Hony. Secretary to the Board of Trustees) and Dr. S. C. Ray (the Director), have kindly included. 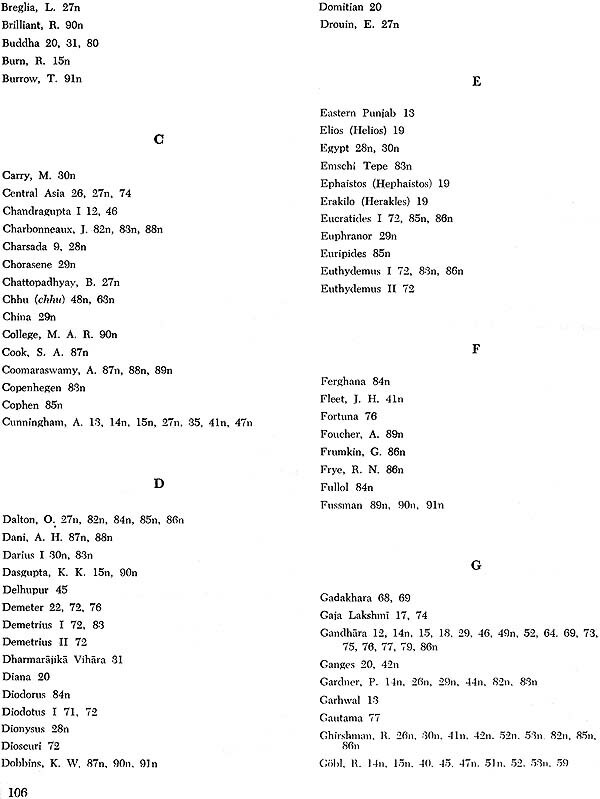 the monograph concerned in their publication schedule. Dr. Amal Sarkar, the Publication officer of the Museum, and his colleagues have seen the book through the press with great care and caution. 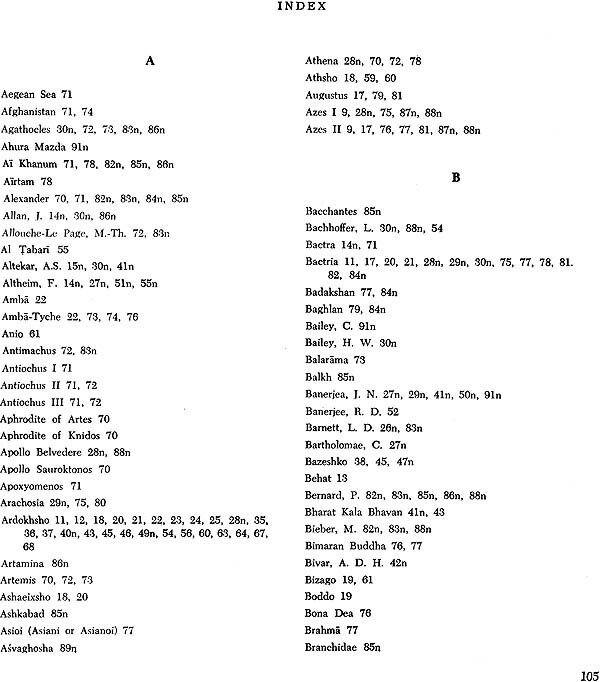 Sri Ranabir Chakravarti has ably prepared the index. I am grateful to the above mentioned scholars, administrators and friends.